Today is the Fall Equinox!! 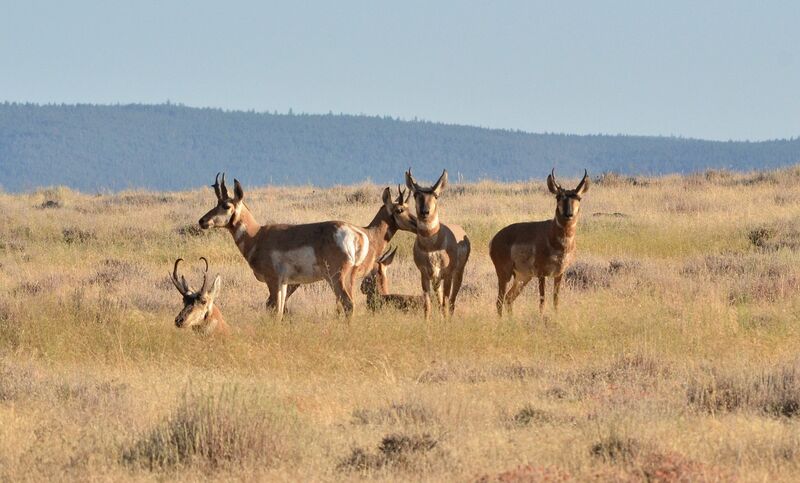 During the “golden hour” before sunset I recently saw these male pronghorns across the road from our house (Modoc County CA). They were alert to my presence but, as evidenced by the fact that not all of them stood up, I was not considered too much of a threat. Pronghorn are curious animals. This entry was posted in Mammals and tagged Antilocapra americanna, photography, Pronghorn, pronghorn antelope. Bookmark the permalink.